Promote concepts of multilateral development. This is a hard pill to swallow within the world of figure skating due to the fact that many coaches, parents and trainers are interested in pushing the limits with young kids in the hopes of national and international success. Your job as a parent or coach with young skaters is to introduce them to as much athletic stimulus as possible. The nervous system of a young athlete is malleable and requires input to develop optimally. If you are prescribing little more than basic fitness and on-ice type movements, you are robbing the child of potential athletic growth and limiting his or her prospective success. 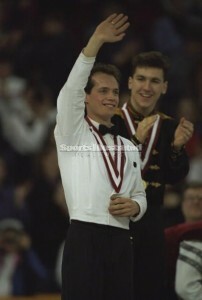 Look at Kurt Browning and Elvis Stojko respectively – one played hockey the other took martial arts. Diversity contributes to athletic success not hinders it.